We provide Working Capital Loans, Project Capital, and Asset Leases. Our Capital helps registered businesses in places where our beneficiaries and members live and work. Our HOLDINGS TRUST has affiliated Vendors and Dealers, Manufacturers, Distributors throughout North America. At BFS we have set goals with a few visionary people, and over the past few years, we have grown into a team of experienced professionals. We understand entrepreneurs and we are able to make common sense credit decisions. In today’s extremely volatile financial markets, the search for capital has never been more intense. Institutional commercial lenders, parity funders, bankers, etc., buffeted by the turmoil in the financial markets, have tightened underwriting and credit qualifying guidelines in the past years to a point where it is very difficult to borrow or raise capital for worthwhile and potentially profitable Industry Specific Vendor Practices which require significant Our Working Capital Loans Financing Program to maximize potential returns on each specialized venture. Unless the Applicant’s credit, liquidity, collateral, and financial status are near-perfect, some credit enhancement or credit management needs to take place before acquiring the chosen equipment. 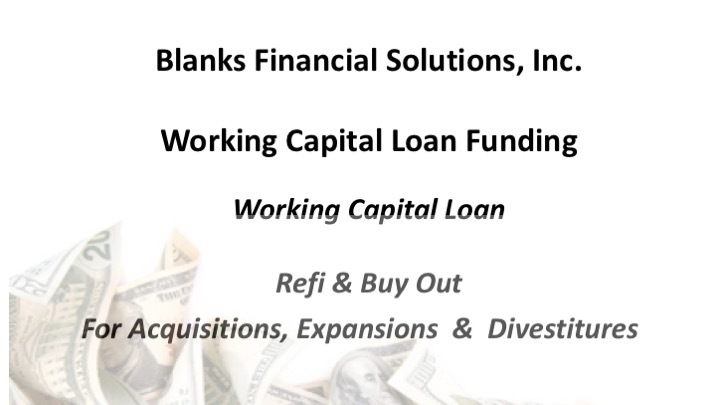 Our Working Capital Loans Financing Program is designed for businesses that need Working Capital Loans. 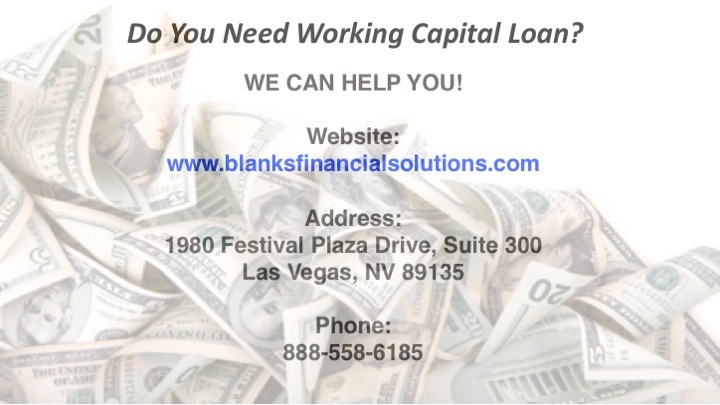 Working Capital Loans helps borrowers get assets that can be obtained by using our proprietary Flexible Payment Plan. Our system can satisfy the capital needs of the Industry Specific Vendor Working Capital Loans for businesses.